Small countries fascinate me. That was my main reason for adding a visit to San Marino to this summer’s road trip plans. I wasn’t sure what I’d find. I’m not even sure what I expected of the country that proudly calls itself the oldest republic in the world. In the two days I spent there, I didn’t really find out what sets it apart from the country it’s surrounded by. Nor did I find out how a country with less inhabitants than the city I live in manages to have a successful economy. What I did find out, is why it’s one of the most charming places I’ve ever visited and why everyone who is travelling to Italy should consider taking a small detour. 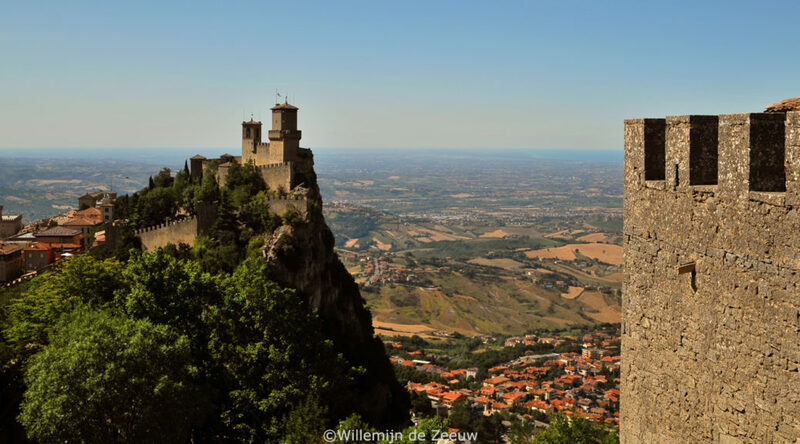 These are my 5 reasons why you should visit San Marino.